If trends continue, Japan’s population will be cut in half by the end of the century. 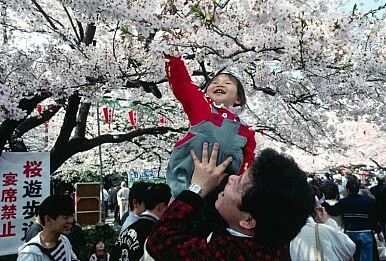 For the third year in a row, the Japanese population has declined. This year the total decrease was 263,727, or 0.21% of the total population, representing approximately a 50% increase in number of individuals lost over the previous year. At the same time, the Japanese government reports that number of births was the lowest on record while the total number of deaths represented a new high. And this trend is unlikely to change in the foreseeable future; today teens represent a little over 13% of the population while those over the age of 65 account for about 23.5%. Indeed, government projections have shown that if current trends continue, today’s population of about 127 million will be halved by the end of the century. Interestingly, when I have talked with individuals about Japan’s population problem, and often these individuals are in the relatively less populated areas in and around Iwate Prefecture in the north, the mood related to population decline is not particularly negative. In fact, many have echoed the comments of one elderly man I spoke with a few years back who said, “I think the population decline is a good thing. The country is too crowded as it is; fewer people would be an improvement.” Perhaps he was just a grumpy old man who wanted his privacy, but I don’t think so. Rather, and we talked at some length about this, he felt that in the long-run the country would benefit from a smaller population. One benefit he mentioned is that a smaller population would place fewer demands on resources like energy as well as make for less crowded urban areas. In fact, most people in rural parts of Japan have first-hand experience with the effects of population decline and low fertility. Many rural towns have elderly populations well over 30% and one of the increasingly common scenes along rural roadways is the empty house once occupied by an elderly couple or single elder, and in the past by a three-generation family. It is a common refrain among residents of rural towns that walking around town you never see young faces; all of the people you meet are old. Indeed, one elementary school in Iwate Prefecture with which I am well acquainted has a total of about 50 students taking classes in a building designed for over 200 – this has been normal for at least the past decade. Rural Japan today provides a very good window into what will be a much less populated future for Japan in general. While the declining number of births and increasingly elderly population may be problematic for the Japanese government in terms of the country’s economic future, many members of that declining population do not see this change in a negative light, even while they recognize the economic and social challenges Japan will face as their numbers decline. The fact that a host of pro-natalist programs—such as reimbursing parents for costs associated with childbirth, which has existed since the 1990s—clearly have not worked. This suggests that many members of the declining Japanese population are not particularly troubled by a future with fewer people, even if that brings changes in Japan’s position as an economic and political power and presents domestic challenges in addressing the needs of a growing number of elderly.